I’ve been kind of busy, you know… what with FINISHING the complete first draft for book #2. Yes, you heard me correctly. Finished! I’ll tell you the truth. 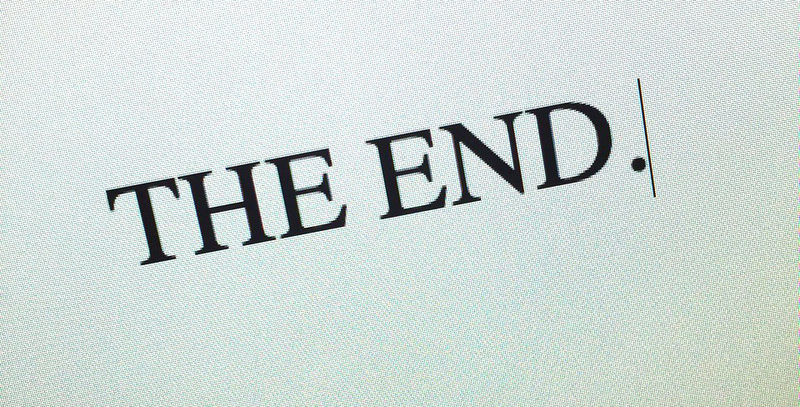 Since this wasn’t a novel, I didn’t really need the words “The end.” But it just felt so good to type them. Over the next two months, I’ll be working on edits with Bonne, the same magnificent editor I worked with on Praying Upside Down. That gives me great pleasure, because she’s something like magic. She makes me look good. I’ll keep you posted on things like release date (next spring) and the cover and so forth, but for now all I have to offer you is the title: DESIGNED TO PRAY: Creative Ways to Engage with God. It’s an 8-week-long prayer journal/activity book filled with creative prayer exercises, stories, Bible verses and quotations, and lots of fun artwork. And I’m really excited about it. But I’m also quite tired. I’ll be sending this to my editors Sunday afternoon after asking everyone in my church to pray over it first. And now? I’m going to indulge in reading a good YA novel and watching TV with my son. I may also find some chocolate. 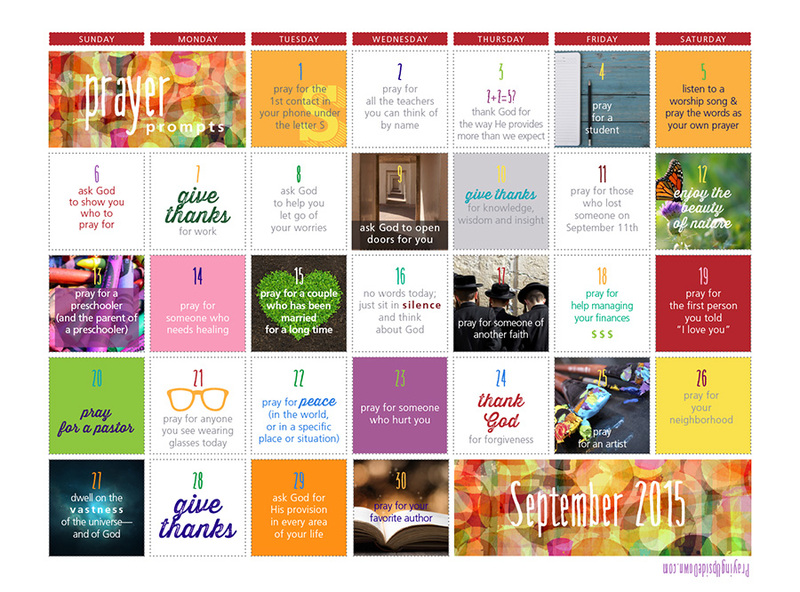 Here’s the link to download the new prayer prompt calendar for September. Hope you enjoy! 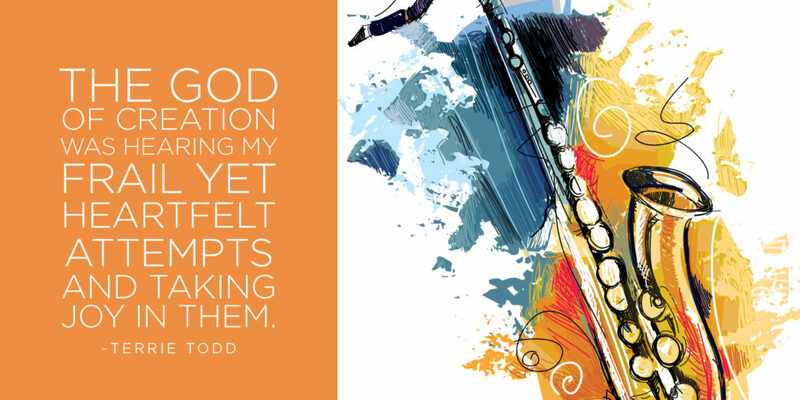 At the age of 53, I took up saxophone playing and, surprise-surprise, I gained insights for my writing life as well. This may seem obvious, but by the time we’re in our fifties, most of us figure we’ve mastered whatever skills we’re going to master and everything else is status-quo. When I first picked up the saxophone, practice times were torture because I was puffing, sweating, and squawking. But the worst of it was my lips. They just couldn’t hold up through an entire song. But I’m greedy enough that if I’m going to cough up money for lessons, I’m going to make sure I’m getting the most bang for my buck—and that means a half hour every day with my sax. Gradually, I noticed I could hit the high and low notes I couldn’t hit before, I wasn’t panting, and my lips didn’t give out. How did that happen? Practice. What was true when we were kids still holds. Think what might happen if we practiced our writing skills with the same diligence. #2. Everybody has their unique style. It took a year for my teacher, Ritchard, and I to notice the uniqueness of our hands. He couldn’t understand why I was having so much trouble “rolling” my thumb from the thumb rest onto the octave key and back, like he does. When I watched him do it, I pointed out that my thumbs don’t curl backwards the way a lot of thumbs do. Mine are the “one-way only” kind, and no amount of practice will change their tree-stumpiness. It was a relief to know I’m a freak of nature. It provides a great excuse to develop my own way of compensating. Every writer has their style, strengths, and weaknesses. Ask God to help you develop your own voice and compensate for your unique limitations, and never give up merely because you can’t write like your hero. #3. A deeper purpose means everything. How this can be true I don’t fully understand, but the God of creation was hearing my frail yet heartfelt attempts and taking joy in them. As Christian writers, we have the priceless honor of worshipping God with our words and bringing him joy. Let that truth flood your heart as you write for him today. 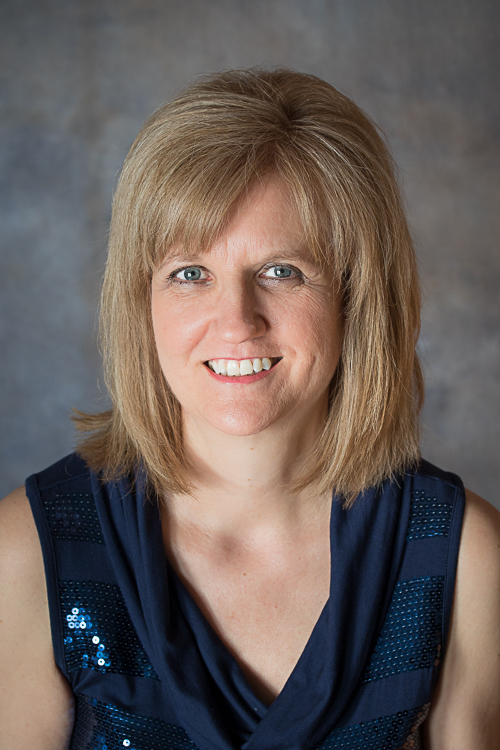 Terrie Todd writes from Portage la Prairie, Manitoba, Canada where she lives with her hubby, Jon, and is a part-time administrative assistant at City Hall. An eclectic writer, Terrie is a published playwright, an eight-time contributor to Chicken Soup for the Soul, a weekly faith and humor columnist for the Central Plains Herald Leader, and a two-time finalist in the Christian Writers Guild’s Operation First Novel contest. Her first novel, The Silver Suitcase, will be released by Waterfall Press in January, 2016. She is represented by Jessica Kirkland of the Blythe Daniel Literary Agency. Terrie and Jon have three adult children, three grandsons, and another grandson arriving this fall! You can catch up with her latest shenanigans at www.terrietodd.blogspot.com. 15 weeks, 15 letters, 15 minutes. To start the new year, 2015. It’s never too late to join us. Learn about the challenge here. It all started with a postcard announcing that a Wabash professor, Joy Castro, had published a memoir called The Truth Book. I’m sure I’d gotten similar mailings before, but that day I paid attention and ordered the book right away—and even invited her to a book club meeting at my house, where we discussed this book that I’d loved so much. She came and was lovely. I was fascinated by the writing process and apparently asked too many questions—or maybe just exactly enough—because she told me I could audit a class she was about to start teaching, a senior seminar on memoir. So I took a deep breath and tried to slow my racing heart. I walked into a room of smart and oh-so-young college boys and hoped I wouldn’t make a total fool of myself. I was terrified—but Joy was so encouraging. And I loved, loved, loved every single part of it. The reading, the discussions, the theories, the ideas. And—obviously—the writing. It woke up something inside me. At the end of the semester, Joy suggested that I consider applying to an MFA program, told me about some low-residency programs where I would do the work online and only spend a few weeks each year on campus somewhere. But Bobby was six, Anna was 10 and Katie was 13. I was working tons of hours and thought, if I could find any time, shouldn’t I just spend it writing? Of course there’s so much I could learn in a program like that, and I know I’d love it. Right then, though, it just wouldn’t work for my life. But knowing that she thought I could do it changed something in me. Thinking that she saw something in me gave me the confidence to take it seriously. To believe it was a goal worth pursuing. To know that maybe I could do something with this new interest of mine. I was so naive about how this process works. I didn’t really understand how hard it was or what it would take for me to truly bare my beliefs, my feelings, to the world. Joy knew, though, and gave me just the push I needed. As I sat in that classroom, I would have never imagined that 9 years later, I’d be counting down the days to the publication of my book. (66, in case you were wondering.) She didn’t know where it would lead, either. But I’m so grateful that she took notice, that she spoke words without having any idea how powerful and filled with hope they would be. Who has given you a gentle nudge in the right direction? Who helped you see a talent that you had—or believe that you were good enough to try something? I know you write from a pure heart. I know that when you put words on paper, you dig down deep. You turn your soul inside out to try to express the depths of all that you feel, of all that you see. You hold nothing back. And yet the blog numbers don’t follow. You have a precious relationship with your God. You’ve learned that He really is all that He claims to be. That if you listen, you will hear Him. If you watch, you will see Him. And when you write, your greatest goal is to faithfully reproduce the way you experienced Him, the way He revealed Himself. And you now understand the meaning of grace, because you don’t deserve such a beautiful thing. Because you didn’t earn it. Because you don’t know how you lucked into finding something so completely above and beyond anything you ever imagined it could be. People respond to your posts. You get emails requesting prayer, and you lift the requests up to God, marveling at the compassion and kindness of a God who hears their needs. Who placed these people into your life. The One who forged instantaneous, deep, lasting relationships with people you never would have had reason to meet otherwise. And yet. The blog numbers don’t follow. So you start to wonder. Why are you writing? 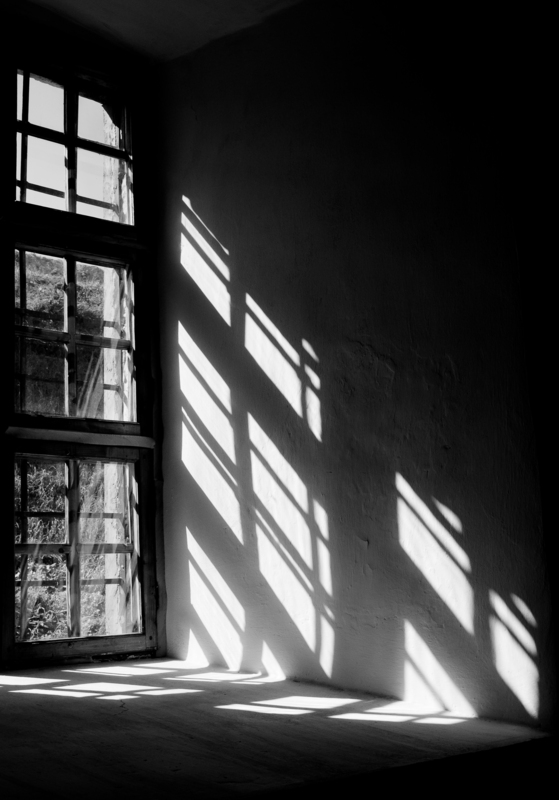 Are you still writing from a purity of heart? From a singular desire to encourage other people to look for Him? To reach for Him? To tell people that it’s OK to have questions, to show them that even if their experience looks different than yours, it’s no less real? No less fulfilling? Because the blog numbers just aren’t there. And after months of trying to hold up your end of the bargain, of working to promote yourself and build your platform and do all the things publishers ask, you’re discouraged. So you start asking a new question. What’s the worst thing that can happen if the blog numbers don’t follow? Do numbers change the reasons why you began writing? Do they negate the insights you’ve found as you struggled through doubts and loss and longing? Do they invalidate the fact that it is through writing, through words, that your perception of the Almighty has grown, expanded, rooted itself deeply, built your faith, strengthened your heart, and enlightened your world? And you know. You know you wouldn’t change a thing. You know that you would still write, even if no one else ever listens. You know that you write for the sheer love of writing. You write because God gave you this sweet gift of expression and He gave you something to say. You say it for Him. Because He is there, listening. And you know that He sees what is done in secret. He knows your heart. And so you ask God for help. You ask Him to change your heart, to keep you on the right track. To purify your motivations. To help you stop watching numbers and instead watch Him. Because in God’s economy, our numbers mean nothing. Only one matters, the highest of all possible measures—the number One. The One who inspires it all. And you know it’s too late to stop now. So you close your eyes. Direct your thoughts towards God. Still your heart, slow your breathing. Wipe your eyes. And you write. You write and you write and you write. And you know that you’re not alone. That you’ve never been alone. You know you’re doing exactly what He made you to do. And as you write, your heart soars, reaching toward the heavens. Toward the God that brought you here. Toward the God that lets you do this. And you find that it’s enough. It’s so much more than enough. Because the numbers are nothing. But the God you’re writing for? He’s everything. Several years ago, the first time I attended the Midwest Writers Workshop, I met this woman from Michigan. Irene invited me to lunch with some people from her writers group. The next year, I met a redhead from Indiana, Sarah, who also hit it off with that group of writers from Michigan. Before long, Joe, Terri, Irene, Sarah, and I were hanging out with Kelsey and Dan and a whole lot of other people. We kept having to pull up extra chairs because we didn’t fit around the table anymore. Someone dubbed it the Cool Kids table. And our writers group was born.We’ve added a few others along the way—Julie, Lisa, Jane, Jama—who are present when they can be. We have fun together. But what I love is this: every single person takes their writing seriously. They work it in around kids and jobs and all of life’s busyness. It’s not a hobby, it’s a passion. I’ve watched their determination—Sarah’s and Joe’s, in particular—to press on, no matter how busy they are with regular life. To keep getting better. To finish one project and start another and never give up hope. To learn more, and try new things, and do whatever they have to do in order to make this happen. To be published. To be able to keep writing. I’ve never been great at follow-through—I have lots of ideas but not enough hours or energy to make it all happen. But the determination of my friends is impressive. Without them, I doubt I would have attempted to write a book, and if I had, it wouldn’t be nearly as good. We all write something different—fiction and non, mysteries, historical fiction, horror, poetry, inspirational, YA and middle grade. We all have different backgrounds. We’re a wide range of ages. And yet, somehow, the bond was deep and instant and only gets stronger. On paper, and maybe in person too, we appear to be an unlikely group. But this group brings something into my life that I don’t get anywhere else. 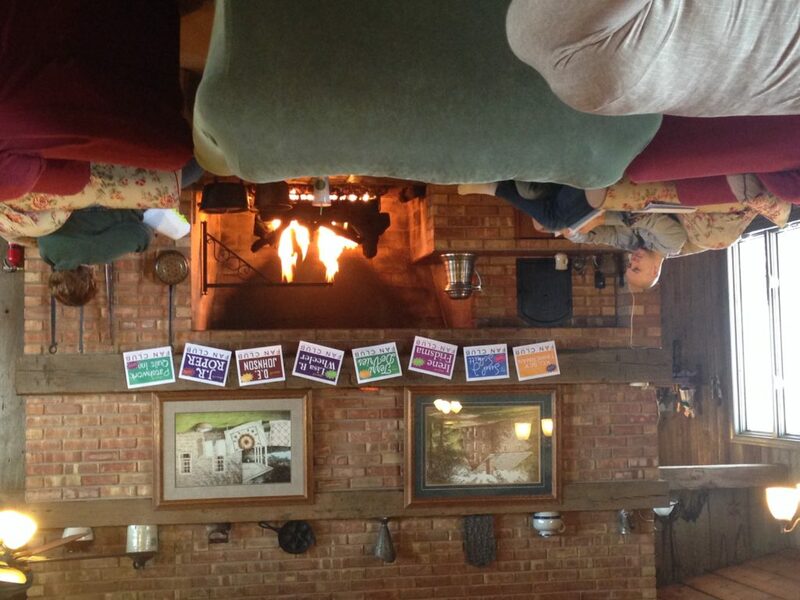 This past weekend, we had our third annual retreat. We write. And talk. Mostly about writing. We read each other’s work, help each other past problems. We brainstorm ideas, suggest marketing techniques, discuss our experiences so far with agents and publishers. And we laugh. And have spirited discussions. And ongoing jokes. And deep connections. And like every other year, we found ourselves still up at midnight, sitting around the fire—still talking about writing. We gathered around to hear Irene’s poetry. We ate a lot of food. We laughed. We advised and counseled and taught and propped each other up. And had a glass or two of champagne to celebrate our successes. These are not the kinds of friendships you can make happen. This is the kind that comes naturally, instantly, without any effort at all. I’m so grateful that God gave me such a great group of friends, people who have become some of my biggest cheerleaders. People whose love for what they do has inspired me to keep going, to keep writing. To do whatever I can do to make this publishing thing happen for me—but also for them. Tell me—who has inspired you? Send them a note or post a short tribute to them on Facebook or your blog. When we share our stories, we get to know each other better, and I want to know about you. P.S. If you have a group you’d like to spend a weekend with, someplace comfortable, I highly recommend the Patchwork Quilt Inn in Middlebury, IN. We’ve gone there every year. The owners are fabulous—as is the food. It would be a great getaway for a couple, but it’s the perfect setup for something like this. P.P.S. I have no idea why that photo is upside down. I wasn’t trying to be cute. My computer is doing it and I can’t figure out why or how to fix it. So I guess you’ll have to look at things upside down in order to see right side up. Hmm… maybe I should write a book about that. I squint in the harsh light, sweat beading on my forehead, running down my face, trickling between the tears. A small gold box is all that remains. My husband lays his Live Strong bracelet on the box with my mom’s remains. Cancer won. Dammit, cancer won again. My family — small, just my dad, my sister and our husbands and kids — shuffles, shifts, awkward in the silence. My brother-in-law leads the prayer; we recite the 23rd Psalm, her favorite, in a lopsided circle of sweaty hands. He praises God for the woman she was, for staying close to us in our pain. I return home, wrapping up leftover casseroles, coffee cakes, ham loaves. People come and go. The cards are covered with crosses, doves, wispy watercolor wishes. Friends, people from all over, offer to pray. I know them from church, from my mom’s church, from people who read my blog and devotions. They send prayers, they give me devotional books, they record CDs of songs for me about the God of hope. The king of kings. The provider. The creator. The healer. I am an elder of a charismatic, spirit-filled church. We believe God cares about every detail, every sparrow. So I requested prayer, at every opportunity, for my little bald-baby-bird mother. I made her renew her Barnes and Noble Member card for another year. I even paid for it. And, of course, we all wore the Live Strong bracelets. Most of them broke before she did. When I was in public, I could ‘toe the party line.’ Prayer changes things. Absolutely. Yet, alone, a child still inside, I clung tenaciously to my dirty little secret. I knew God would not heal my mommy. A year later, I’m still right. She’s still gone. And I wonder, how do I get back? Can I relearn belief? Can the faithless regain faith? Enough of Him remains in me that, even now, I hear His whisper. Yes. Come back. Share your pain with me. So I do, in secret. The Festival of Faith and Writing just ended, and I’m trying to catch my breath before driving home in the morning. It will take some time to see what comes out of all that I took in. And, honestly, there’s no guarantee that I will every again have another profound thought (especially given how tired I am right now). So I think I’ll just share some tidbits from my notes. This is far from an exhaustive summary of all I heard, saw and learned, but a few that really stuck out. I tried to be accurate in my quotes, but it’s perfectly probable that I missed some words or summarized or got distracted by another tidbit of wisdom along the way. You have to wait ’til tomorrow for the Anne Lamott quotes :-). Each one of these deserves at least a day to let it fully sink in. But, alas, I’m too impatient. Spreading it out over two days is about all I can handle. Join me today at the Midwest Writers Workshop blog, where I talk about finding your inspiration and direction as a writer. I can’t say I’ve known forever that I wanted to write. I liked to write; just wasn’t sure I had anything worth saying. But look what’s happened in this past year. I went to Italy and learned from Elizabeth Berg (and met a lovely group of women I’m happy to call my friends). An agent and publisher responded to my first batch of queries. I signed with the agent and got another offer. Signed a contract. Started writing. Won first place in a big writing competition. And now I am only one month away from finishing my final manuscript! This time last year I wasn’t even sure this book would happen. I am loving every minute of it — even the stressful ones, and the ones in which I feel like my brain is churning, frantic to make sense of all the thoughts swirling inside, not sure if the pieces of the puzzle will ever all fit into place. The writing — well, yes, of course it’s a blessing. The act itself makes it worthwhile, even if there were no other aspects to discuss. Writing has always been healing to me. It helps me discover what I think or feel. But I keep being surprised by the other blessings I didn’t know would be wrapped up in the middle of it all. 1. Discovering a new community, both nearby and far away. Support, encouragement, acceptance. True friendships. People who understand me on a different level than my other friends — not better or worse, just different. One will never replace the other, but having both kinds of friends makes me feel impossibly full. Rich. I am a part of the amazing Cool Kids, a group of writers who came together through the Midwest Writers Workshop. We share in each other’s successes (including one woman who got two publishing offers this week and now has a decision to make!). We read each other’s work, solicit each other’s advice — and never run out of things to say. Seeing each other in person once a year wasn’t enough, so we’ve added a winter writing retreat. I’m already counting down the days. I’ve met people locally, including a critique partner and friend here in Crawfordsville who just signed a book deal! (Yea, Alison!) I’ve met people online — other writers who share the same agent; women who also are mourning the loss of their mothers and who share so many other things in common with me; as well as the authors of some of my favorite blogs and books. I may never see them in person but I am better for my exposure to them and their words. 2. Seeing my children being proud of me. I know my kids love me, even when they don’t want to admit it. But my daughter who refuses to hug me (or, pretty much, anyone else) has shared some of my posts about my awards or other writing milestones on her Facebook, commenting, “That’s my mama!” My 13-year-old son asked me to print out a copy of my manuscript and put it in a binder so he can read it during his reading time in school. And he’s really doing it, coming home and commenting on things I’ve written. I’d like to think maybe this is helping my kids know that if you truly seek God and that He is the guiding force behind your dreams, good things can happen. 3. A sense of awe, of wonder — because I see now that everything in my life up to now has led to this place. My struggles, my experience, my education, my work, my relationships, and the ups and downs of my faith all pointed to this book. I feel like my whole life — all that I know, all that I’ve learned, all that I’ve seen — is in this book. But that keeps me humble, too, because it’s not all that long of a book! I guess that just means that I’ll have to write another. 4. Unexpected conversations. When people learn I’m writing a book, they want to know about it. And since the topic is faith, invariably people either ask questions about mine or want to share theirs. I’ve talked to a wonderful Jewish man on a plane. Pastors from other local churches in coffee shops. Friends, family members, former and current clients, and other acquaintances who have never talked to me about these things before. Atheists, agnostics, pagans, Catholics, Methodists, Pentecostals, Universal Unitarians. Suddenly it seems they have permission to talk. To ask. And there’s really nothing I’d rather talk about, so I find each conversation exciting and challenging and I walk away, energized, grateful, and full of wonder. 5. Discovering the depth of my faith. Going into this book, I was struggling with many things. My faith had once been strong, but I was floundering in so many ways. As I’m writing, I’m seeing how much I believe what I’m writing. How deep my convictions go. And that, no matter how I may fall short living this life, it is all I want, and it is the very source of who I am. Even when I forget to pray. Even when I don’t always feel passionate. Even when I don’t get around to reading the Bible. Because although I have specific doubts, and I’m a cynic at heart, I now realize how strong my belief is that God is there. That He is who He says He is. That He never fails, and He never ceases to pursue and adore us. My pastors often say they find themselves preaching the very message they needed to hear. And I’m finding that this book I’m writing is exactly the one I needed to read. It is reinforcing all that I knew and reviving me daily.